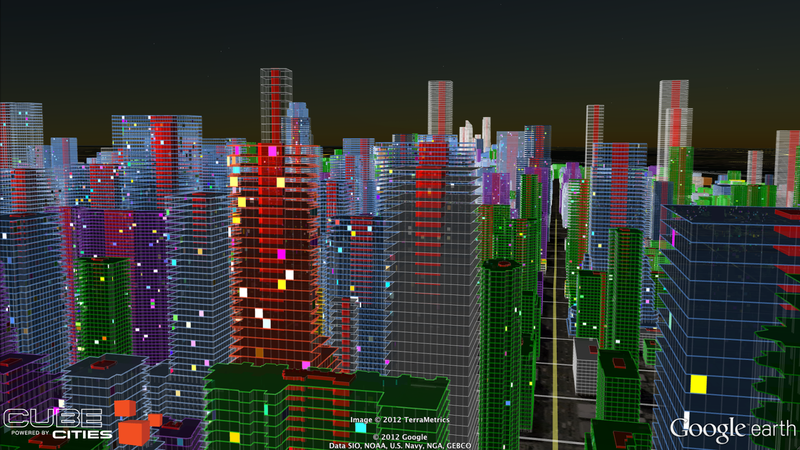 Here's a floor-level visualization of the buildings of Midtown Manhattan colorized by building class. Blue for office, green for residential, purple for hotels, white for under construction and several others types. 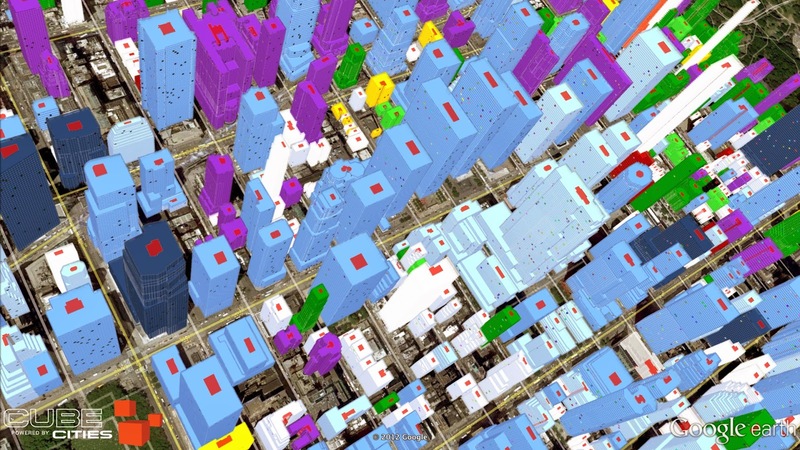 Imagine flying through Manhattan as the sun rises sets and seeing every floor and every building core, this is what this visualization depicts.